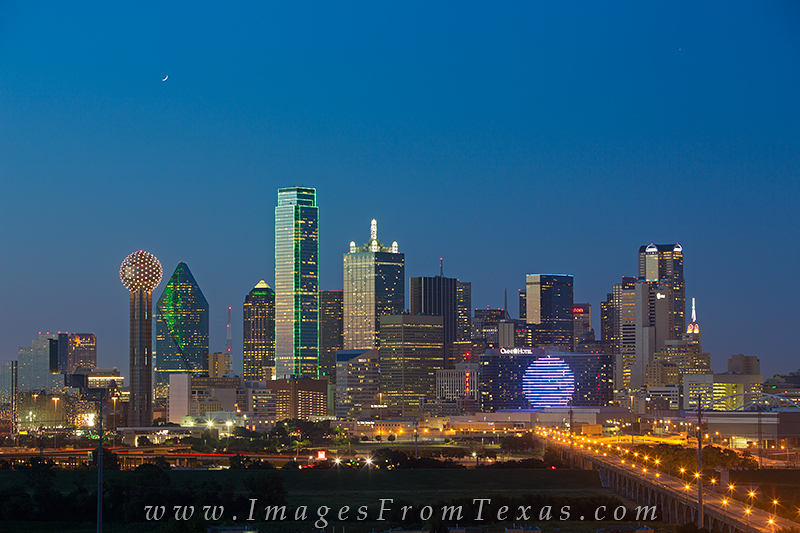 The Omni Hotel is lit up against the downtown Dallas cityscape. As evening fades to night, the colorful lights seem to bring this area to life. Taken from across the Trinity River, this view faces east on a cloudless night. Photo © copyright by Rob Greebon.